Check out the first theatrical trailer for the comedy reboot of the television classic of the same title. Yes, expect the classic slow-mo runs as well. The first teaser trailer of Baywatch features lots of beachgoers, surfers, sand, babes, explosions and of course, bathing suits. It seems like this R-rated comedy knows exactly what they are doing, poking fun at themselves with its over-exaggerated jokes. Don’t expect much on a plot in the first trailer tease, but it’s sure interesting to see the ensemble getting into some shenanigans while protecting the beach. 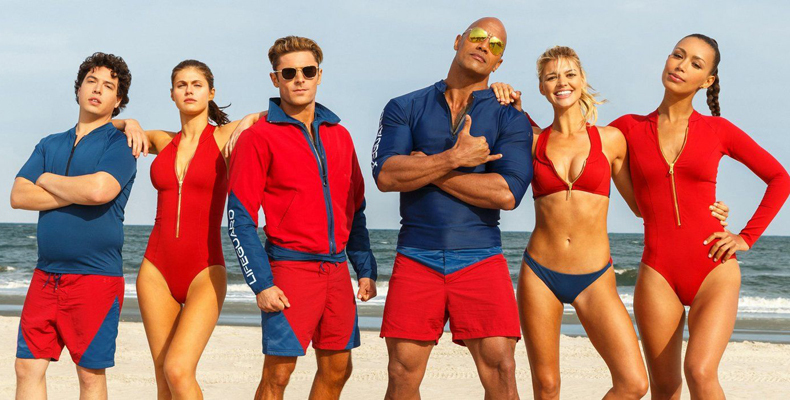 Starring a pretty awesome comedic cast: Dwayne Johnson, Zac Efron, Alexandra Daddario, Kelly Rohrbach and Priyanka Chopra, Baywatch opens InCinemas May 2017! Short Film Competition ciNE65 Returns for its Fourth Season with the Theme “Home Truly”! Documentary about Pokemon Go to Launch in December. Baywatch - 5 Sets of Movie Premiums to be Won! 6 Movies to Catch this June Holidays!